An absolutely stunning collection of handcrafted jewelry all by the talented Jacque Kudner of Remagine Designs. Each piece within this collection has been carefully created by hand using found antiques from the Paris flea market. Jacque's Remagined Designs are exclusively sold at The Scarab. The pieces within this collection are absolute treasures! 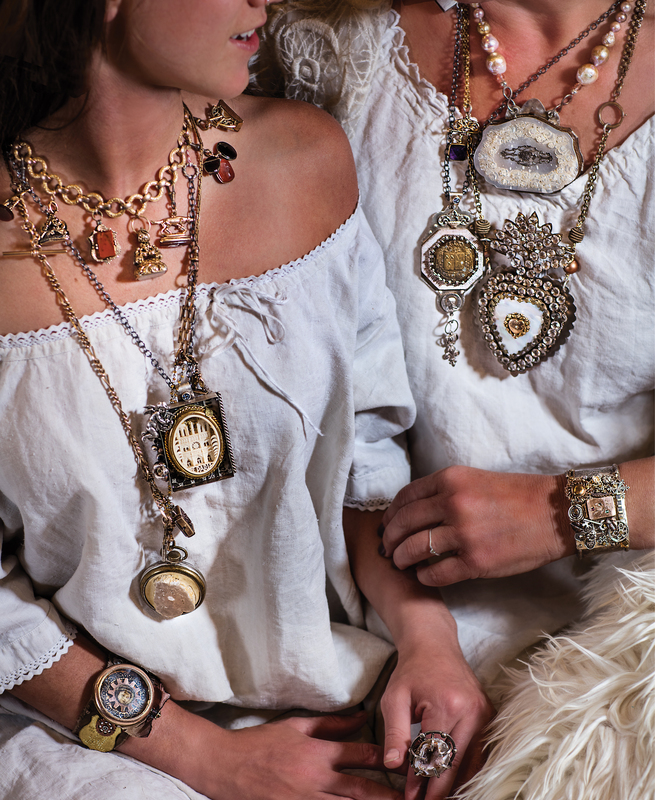 Jacque is such a talented artisan and this collection boasts some of the oldest and rarest antiques that she has used in order to create her one-of-a-kind jewelry. The Paris Collection Trunk Show will take place during normal business hours, Wednesday December 30th from 3:00pm-6:00pm. To read more about Jacque and her creations, click here. RSVP for this event and receive a special gift upon your arrival!